I've been alerted to Redmond's colourful take on 2D barcoding, Microsoft Tag. It's an advanced barcode creating technology which stores up to to 1000 characters (compared to QR-code's 4296 character maximum) and adds colourful triangles to its design! The rest of this blog entry is stored in the Microsoft Tag below - I'll leave you to decode it if you wish (clue: free iPhone and Windows Mobile MS Tag decoding apps available). A free Tesco.com branded coffee mug will be sent to the first person who decodes this barcode and puts all the free text contained inside it into a comment attached to this blog entry (or email it to me - nick@lansley.com - if the blogger system won't accept 1000 characters). 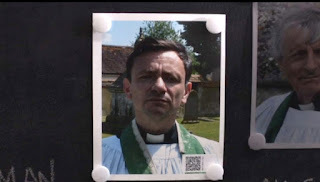 Thanks for the feedback on the QR code 'experiment' I tried on my fellow staff members yesterday. 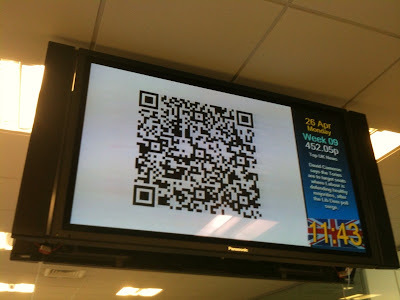 Sounds like quite a few of you had fun finding ways of decoding the QR code I put up on the media screens at Tesco.com HQ. Judging by feedback, it seems that more Android-based phones were used to decode than any other device (both from staff at HQ and other people who saw the QR code I included in the blog post). It just goes to show what inroads are being made by Google's mobile operating system, at least amongst the tech community. 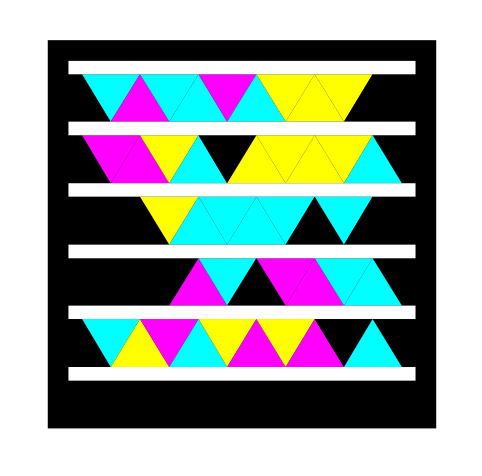 Roger Smolski pointed me towards his 2D-code online magazine, where he reports on the latest news in 2-dimensional barcode design. I was particularly interested in his article on how mathematicians are making 2D-barcodes more 'friendly' by adding pictures in with the barcode display in a way that does not make decoding more challenging for scanners. 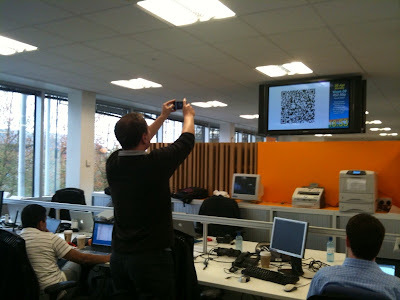 QR-codes, with their ability to store lots of data in a small space - and their attendant ability to intrigue people enough to get them to decode that data - are set to have an interesting future and one worth watching. In the meantime the barcode will stay up on the media screens in HQ (rotated with the other slides) for today so please have a go at decoding it on your phone or device - or try it here of course. Both the CTP (Community Technical Preview) and Beta editions of the Tesco grocery API will be off-air from 6pm - midnight UK (17:00-23:00 UTC) from 26 April until 4th May inclusive. This is so that the Tesco.com IT teams can progress the final move of customers from the old 'BOB' grocery service to the new 'Martini' service with minimum disruption during peak loading times. Furthermore, on the evening of the 4th May, the CTP API will be shut down for the final time, never to return to service. This version of the API uses the old 'BOB' grocery service which will no longer have any customers on it. This version of the API sits at http://www.techfortesco.com/tescoapi/tescoapi.svc until its final shutdown at 6pm UK (17:00 UTC) on 4th May 2010. Apologies for this short notice and for any inconvenience caused to evening developers working on applications that use the Tesco API, which contributes significant traffic to our grocery servers. However, if we can get all the customers across in the next couple of weeks it will be worth the pain. 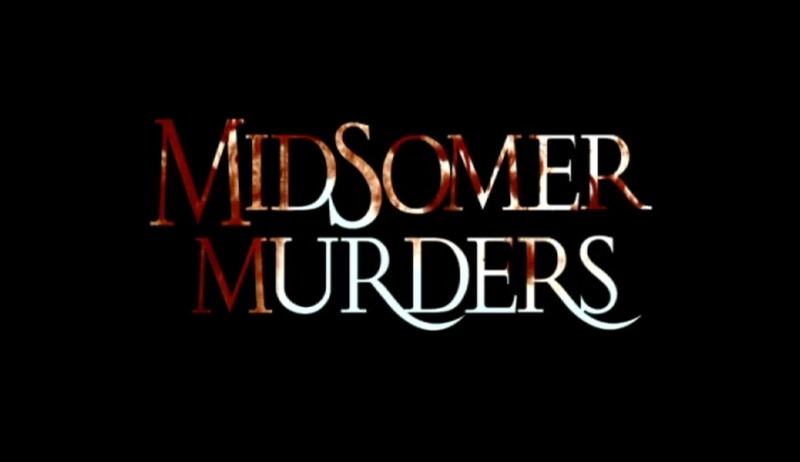 In an interesting twist, this very barcode is used in an epsiode of the ITV detective drama 'Midsomer Murders' called 'Murder By Magic'. An eagle-eyed viewer, watching the show in Germany in HD on movie channel ZDF NEO, paused the show and captured the QR code - and was sent straight to this page! So welcome to you if you've followed the same path. Oh, and let me point out that English villages are very pleasant and peaceful places. 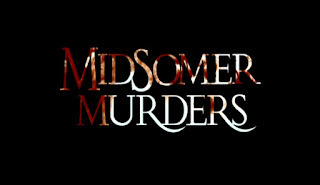 They certainly do not have the murder rate that Midsomer has! 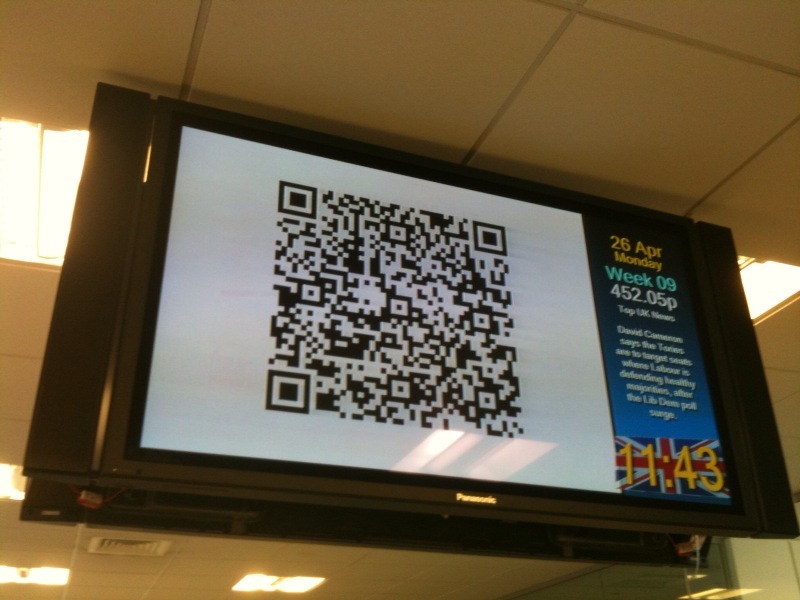 Well done if you've arrived here from decoding the square 'QR' barcode square I put up on all the media screens at Tesco.com HQ in Falcon Way today. The text data in the barcode (recreated above) points to the direct web address of this blog post. I wanted to see how many people 1) noticed and 2) decided to see if they could decode it. If it works, this means that people are taking notice of these barcode squares and acting on them. I'll work out what that means later! 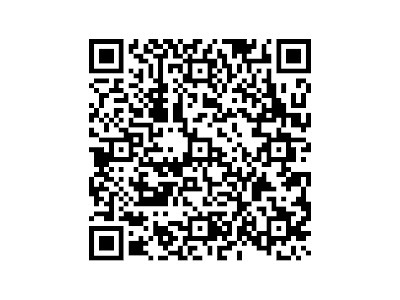 I used the QR barcode generator web page at http://qrcode.kaywa.com/ to make the barcode, used my Mac's "snapshot" feature to take an image of the barcode, uploaded it to the screens then tested it on my iPhone using the app "Barcode" by Stefan Hafeneger. 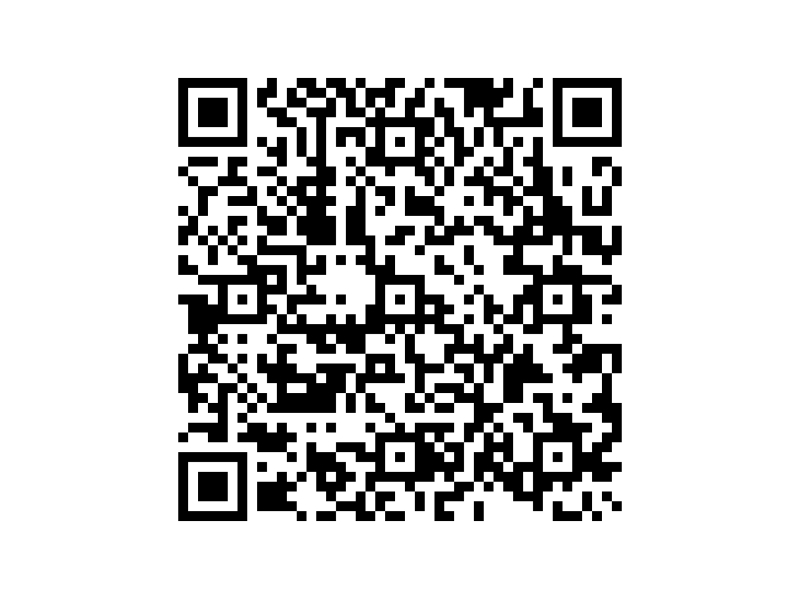 Email me or comment on this post if you did decode the barcode and let me know how you did it (e.g. an mobile phone app?). UPDATE: Colleague Dave caught taking a photo of the barcode displaying on one of the screens (I asked for his permission to put it in the public domain afterwards!). Click image for larger picture. As we get more customers onto our new 'Project Martini' grocery service, the time is coming when our army of third-party developers can unleash their Tesco Grocery API powered applications on the world. One of these developers is James Mills, an IT programmer who came along to our Tesco TJAM day back in August last year. James has developed a Facebook application called 'My Shopping Assistant' which allows Facebook users to shop groceries with us. As soon as the API defect list is completed (so there aren't any defects!) and all our customers are moved across (a couple of weeks or so) then James will really be able to power the application up. Even now you can perform some of the core functions of grocery shopping through James's Facebook app. James is also working on a shopping application for the O2 Joggler device that uses the Tesco Grocery API - he has a video of it in action here - fantastic work, James! You'll see more third-party applications using the Tesco Grocery API coming on-stream in the following weeks. If you're a third party developer who uses our API, send me some blurb about your application and I'll announce it here when you're ready for launch. Update: Text in this article was altered - changed 'My Grocery Assistant' to its correct name of 'My Shopping Assistant'. Interactive corporate tweeting - could there be trouble ahead? Thanks for the feedback from my article about our 'Good or Bad?' Twitter monitoring. Several emailers are asking how and when we intend to turn from 'listening' to 'interacting'. In my meeting with the insight team we chatted about how we might achieve this. At first glance this seems like an easy win: give a trusted group of our customer service staff a Twitter account and let them contact people who tweet about problems with Tesco, and see how we go. Whoa! My observance of other companies doing this has met with a mixed reaction - in some cases disastrous. 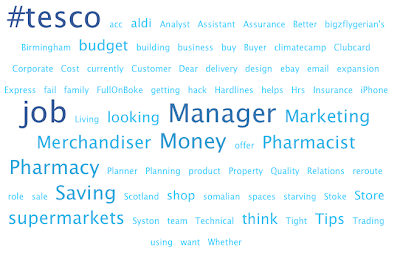 If customers are having a problem with Tesco - can we actually help? If someone tweets that a store has run out of bananas then maybe some quiet behind-the-scenes alerting to sort out the situation could be better. We think we can help but actually can't get the bananas to the store any faster so could we just end up annoying the customer? On the other hand, if a customer has tweeted their annoyance that a home shopping delivery is getting late, it's possible to ask them to call the customer service centre so we can find out what has happened. Is there a grey area where we have to judge whether to respond or not? When communicating with people over Twitter, it's easy to forget that every tweet is broadcast worldwide, then indexed by the likes of Google. Even Direct Messages (DMs) are not sent in an encrypted form, yet it's easy to forget this when asking for identity such as an email address. At least people who use Twitter generally know of their 'world broadcast' combined with indexed permanence of their tweets. I think there's a psychological boundary that allows them to accept that Tesco monitoring them is kind-of OK.
On the other side of that boundary are places like Facebook where people believe they are in control and that their messages are contained amongst their friends (which is true provided that their account's privacy controls are set correctly) - so Tesco popping up to provide help may actually create negative sentiment. "I went to Tesco and they had no bananas. Typical!" Good response: "Hello this is Tesco Help - I see you can't find any bananas in your local store. Can I help you?" Bad response: "You say you can't find bananas? Which store were you looking in? Did you look in the fruit & veg section?" The second response is well meaning and, if said verbally over the 'phone, would probably be fine thanks to a friendly voice. But remove this nuance and the message sounds cold, rude, and accusing. Now your solution may be to have a set of stock messages much like an email response system, but the whole point of Twitter is that dynamic 'live' effect and the opportunity to engage - not a standardised email to be contemplated offline. The recent nefarious tweet from the official Vodafone UK account reveals the need to think about how to secure our Twitter account. I imagine a team of Tesco Help people in an office away from the general thoroughfare of staff-traffic having responsibility for output through a future Tesco Twitter account. 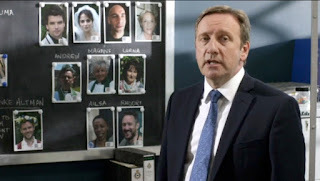 Of course they'll change the password every day, and handover between shifts will take place where the official password will be revealed once the place had been swept for spy bugs… OK but if the Tesco brand is at stake - as Vodafone's was - it's a serious consideration! What about someone setting up their own "Tesco Help"-sounding Twitter account name and pretending to be us, either to "phish" for personal info or generally try to trash our brand with some suitably obscene messages? "My Tesco.com delivery is running late and I'm getting annoyed"
"Hello this is Tesco Help - I understand your delivery hasn't arrived - can I help you find out what has happened?" "Hello Tesco yes please I'm at 15 Sodberry Terrace, NW3 2AB - can you check where the van is?" …and thanks to us the customer has just broadcast to the world and its search engines where they live. Forever. So you see, the move from 'listening' to 'interacting' is fraught with challenges - and we must think of everything before we start. Are we Good or Bad? Happy or Sad? Here I am back at work extolling the virtues of a 'stay-cation' by having a Britain-acquired suntan without the need for flying (hah! ), and showing my age with a quote from a great Tina Turner song. I always enjoying working with the Marketing department, and most of all I enjoy chatting with their Insight team - a group of people who find out the customer perspectives on our business. They have shared with me some work they have been doing with social networking data to see if they can use this 'crowd-source' of information to find out what people think of Tesco. They are even looking at how our customer service staff might be able to interact with customers who are having problems with us. The team having been working with a company called Right Now who specialise in monitoring clouds of social media to uncover what good and bad things are being said about us. 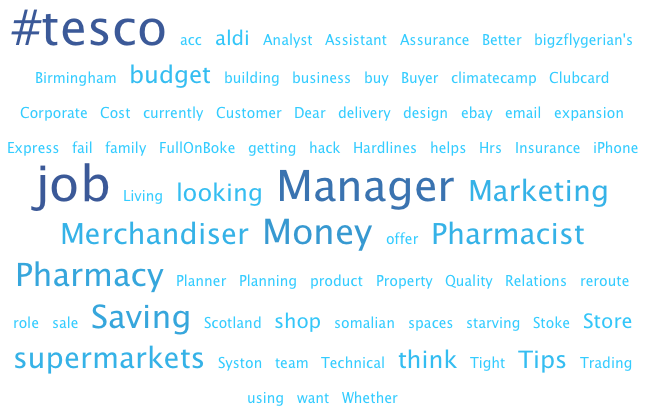 One of the most interesting reports we get from Right Now is a distillation of Twitter feeds where customers mention Tesco. Importantly, each 'tweet' is analysed to discover the sentiment of the message and is marked on a grade from positive to negative. Seeing as how Twitter feeds are entirely open and in the public domain, and tweets are available in their untold millions, it's a perfectly legitimate source. 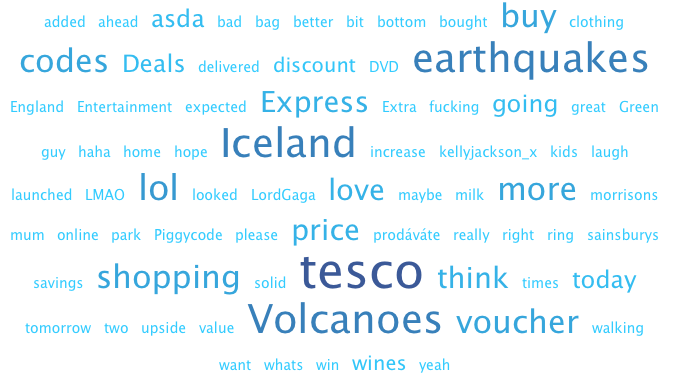 However you may argue that people of the sort who use Twitter and splurge their thoughts on that network may not exactly be representative of the Tesco customer base. You would be partially right - after all, Twitter tends to be used by a younger demographic with enough wealth to run a mobile smart phone and/or have easy internet access wherever they are. However the sheer weight of numbers allows us to get an overall sentiment and, more importantly, achieve early warning of any change in sentiment (more negative or positive) for some reason. For (contrived) example, supposing we ran out some important product that people expect us to sell, for example bananas. Tweets suddenly appearing with negative sentiment that bananas are missing could, in theory, allow us to take action earlier than discovering it later. If tweets reveal that a group of stores are affected, we could home in on the problem more quickly. For example, it could be a broken-down lorry that planned to visit these stores and its stock needs to be transferred with greater urgency than just using 'normal procedures'. A real quick win when it comes to finding out what key words (and by inference, sentiment) people are using when they Tweet about a subject is to use Tweet Cloud. This service finds out the top 30 or so words being used alongside a search word in tweets. The more commonly a word is used, the bigger it is in the cloud. Here are two clouds taken this morning (Mon 19 April 2010) that show an intriguing difference about people who use the word Tesco in their tweets, and people who want to let you know they are talking about Tesco by using the hash-tag #tesco. 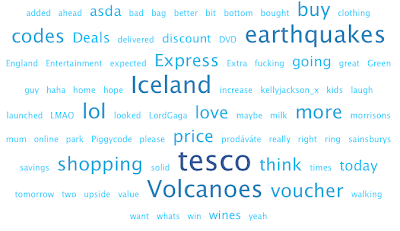 So I'm seeing stuff on the Iceland volcano, a couple of competitors, voucher (no doubt Clubcard vouchers), words such as 'clothing' and 'entertainment' - both are being promoted at the moment so its nice to see people reacting - and only one expletive. Here the sentiment is more business-like - about jobs, competitors, and the occasional politics. The insight team are adopting the strategy of listening at the moment, and as you can see there is much to listen to on the internet's public domain. I'll keep in touch with them as they plan their move into the 'interaction' stage. as Tina sang, times are good or bad, happy or sad? Just back from a spot of holiday in the Pennines where I was free of technology for a long weekend (absence makes the heart grow fonder and all that...). Tomorrow I am speaking at the NESTA conference "Open For Business" which explores how innovation makes the difference when it comes to leading businesses through the remainder of the recession and back to economic growth. For info, NESTA is the National Endowment for Science, Technology and the Arts - an independent body with a mission to make the UK more innovative. NESTA invest in early-stage companies, inform policy, and deliver practical programmes that inspire others to solve the big challanges of the future. Their endowment status means that they operate at no cost to the UK taxpayer. I was chosen to speak because of the Tesco TJAM event that we hosted along with Microsoft back in August 2009. Standing next to me will be Caroline Holt of Happen, the innovation agency that made that whole day work in the successful way it did.